The Kettner Clip is a unique and innovative number system that can very easily be attached to the bridle or saddle pad. The Clip is made of stainless steel and has a durable powder coating on the inside, to ensure that the number stays firmly in place. 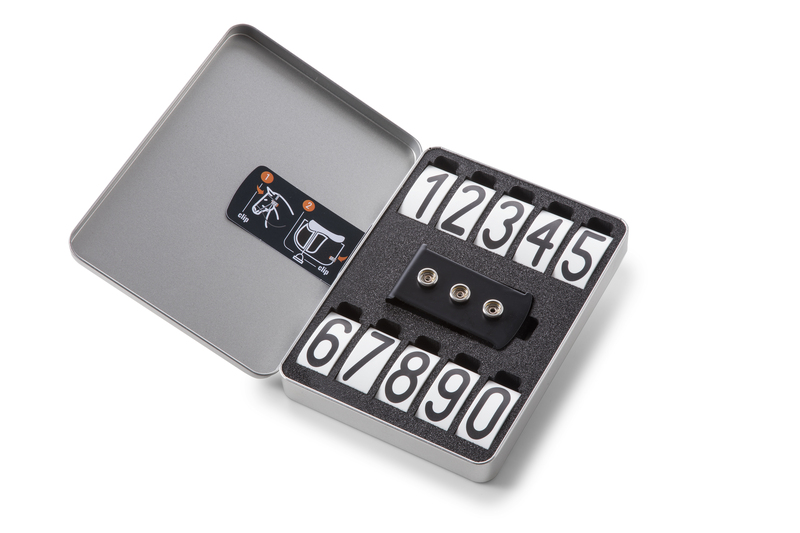 With this system the numbers easily click onto the holder. This means that they do not move or fall off while riding. Save yourself the hassle with safety pins or rubber bands and go for functionality and a well-groomed look. Many top riders already use it.